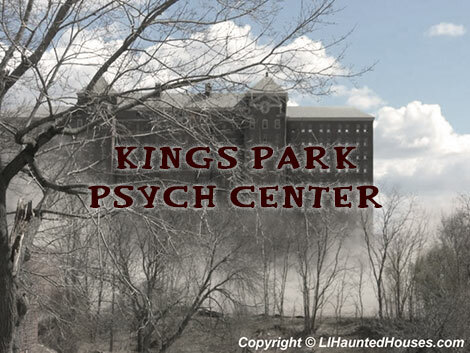 For over a century the Kings Park Psychiatric Center stood as a fixture of psychiatric care on Long Island. Originally called the Kings County Asylum, the facility was built by Kings County (otherwise known as Brooklyn) in 1885 as an outlet for the county's own overcrowded mental health facilities. The Kings County Asylum was meant to be a radical shift from the cramped, poorly maintained facilities of the time, giving patients a large space on which they could live and even care for themselves by growing their own food and caring for livestock. Before long, however, the asylum began to succumb to the same troubles that plagued most other hospitals–a growing population led overcrowding and a corresponding decrease in quality of live for the patients. Control of the asylum was given to New York State, which in turn renamed it Kings Park State Hospital in 1895; the state was able to realize the hospital's original vision, building a patient community which could grow its own food and even generate its own heat and electricity. The threat of overcrowding remained ever present, however, and the state continued to construct new, larger buildings throughout the early 20th century. Perhaps the most famous of them, the 13-story Building 93, was finished in 1939 at which time it began operation as an infirmary. Patients continued to flood the center until its population peaked at over 9,300 in 1954. Around this time the hospital had also begun moving away from its original methods of treating patients through rest and relaxation, practicing much more physically invasive and damaging methods such as electroshock therapy and lobotomies. Over the next several decades, the crowded psychiatric center with once-questionable practices saw its population steadily decline as medicated regimens with drugs such as Thorazine were popularized as a form of treatment and advocated attempted to move patients into smaller community facilities. 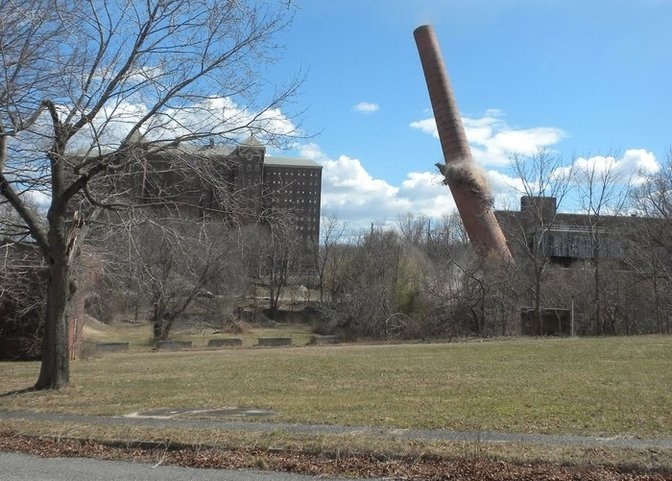 By 1996 the last patients of the Kings Park Psychiatric Center had all either been released or moved to nearby Pilgrim Psychiatric Center in Central Islip, but most of the campus' many buildings still remain standing to this day. 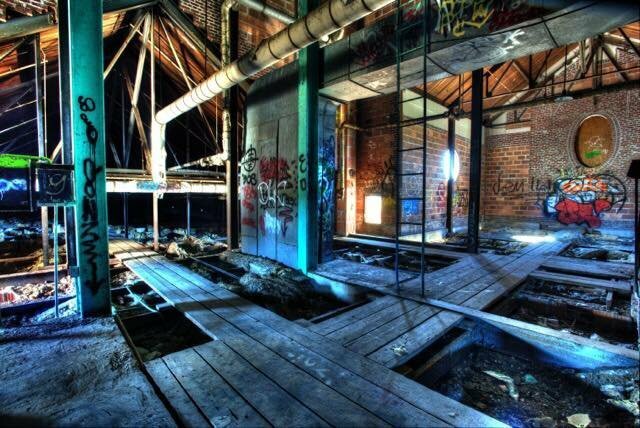 Though trespassing on the Psychiatric Center's grounds is entirely illegal and the facility is now regularly patrolled by police, locals and visitors to Kings Park have still been known to sneak into some of the abandoned hospital's buildings*, leading to a large amount of vandalism and graffiti in the decaying psych center. There have also been reports of ghosts paranormal happenings within the campus. Trespasses claim to have seen apparitions, heard disembodied screams, and witnessed doors open or close on their own. Patrons of D.S. Shanahan's, a bar located just outside of the Kings Park Psychiatric Center's grounds, have also made similar claims. A female apparition allegedly appears at the bar from time to time, but quickly vanishes when approached. Visitors and employees say they have seen the unidentified ghost standing in the hallway, or even sitting at the bar. Want to find out more about real haunts on Long Island? Then visit our Real Haunts Guide for even more frightful folklore and scary stories! 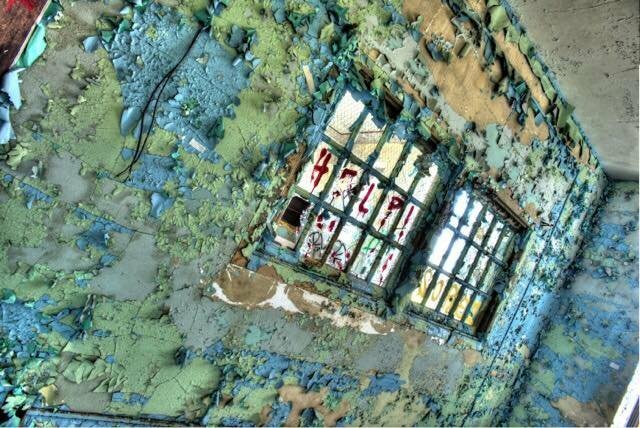 *Please be advised that trespassing on the Kings Park Psychiatric Center grounds is prohibited. LongIsland.com neither condones nor encourages anyone to visit the center illegally.